If you think recruiting for your summer camp staff team is time consuming and sometimes frustrating, how would you like to have spent time and effort recruiting someone from 8th grade through 12th grade only to have them take a “better” offer at the last minute? College coaches are facing a lot of the same challenges we see in summer camp. How can we cut through the noise and be seen by recruits? How can we retain our veteran staff? How can we insure that our new staff actually follow through and show up to camp? We took a good look at the processes college use to recruit and picked our 3 Best for summer camp staff recruiting. Good recruiting requires a major time commitment. Most of us spend a few months each spring in full pursuit of top staff recruits. Top college sports recruits are often pursued for years. The way colleges handle this daunting task, if to divide and conquer… literally. College sports head coaches assign their assistant coaches and coordinators to run point on individual recruits, giving each recruit a one-on-one connection with a knowledgeable, passionate member of the program. 247 sports even tracks the ranking of the top recruiters. Ok, so camps aren’t working with multi-million dollar recruiting budgets (if you are, give CampStaff consulting a call, we might have an idea or two on how to spend it – lol) or identifying prospects in the 8th grade for jobs 4 years away, but you do have passionate, knowledgeable returning staff that can be involved in recruiting. Read how to turn your returning staff into your top recruiters. College coaches never forget that their veteran players have other options. Gone are the days of a recruit committing to a program for 4 full years. Particularly top rated players have the option to transfer to another program at anytime or for the very best, leave early for the pros. When a top rated player opts to stay another year, the press most often sees this a positive reflection on the quality of the program. Schools promote this heavily to future recruits by issuing press releases that basically say “this such a great place to be, that Player X decided to choose us over simple $”. Your staff may not be leaving you for a multimillion dollar contract but they do have the option for a pay raise at another camp or even just a better fit for their own goals. So when staff do opt to return to camp over the (really) countless other opportunities they have, make a BIG DEAL out it. It’s really easier than you may think. Hometown – We think they get 2 powerful boosts. 1. Camp is about making personal connections, potential staff from in this case, NE Texas have a pre-camp connection. 2. Here’s a Texan returning all the way to Pennsylvania for a job – pretty solid endorsement for camp! Why Weequahic – “I spoke with a returning counselor.” Says Weequahic is a welcoming place, concerned about the individual. Very powerful stuff, in a subtle delivery. Another format we really liked is Camp North Star Maine’s (@cnsmaine) “Welcome Back Wednesday”. One, we like the regularity of a weekly announcement. It keeps the camps returning staff in front of their Instagram followers and gives all staff something to look forward to. Two, we like the graphic with the ability to simply plug in pics of the week’s returning staff. It’s clear and easy to spot when we scroll through our daily feed and when we go to Camp North Star’s page. A simple write up on the 2 staff members in the post caption is all that’s needed, along with tagging the pic. Mail your new hires a hat, t-shirt or sweatshirt song with their new hire packet. Ask your new staff member to video themselves wearing your camp gear, answering the questions and send you the file. Better yet, have them post on their own social and tag you. Post on your social media feed and ask all your staff to like and share. Not only do you have a chance to really welcome new staff into your camp community, your camp community has a chance to get to know each other before camp even opens. Camps looking for summer staff? 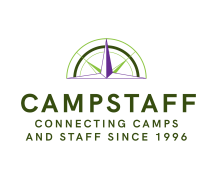 Camps can join CampStaff.com and search through thousands of staff applications. We’ve been connecting summer camps and summer camp staff since 1996. Let CampStaff help you find the perfect summer camp staff. Looking for nurses? Visit us at CampStaffNurses.com. Staff looking for a summer camp job? Campstaff.com is a free, single application website connecting staff with thousands of summer camp jobs at hundreds of summer camps across the United States and Canada. RN’s, LPN’s, student nurses, and other medical professionals, CampStaffNurses.com has summer camp nursing jobs across the United States at some of the most beautiful summer camp locations. Spend your summer working with great co-workers. Many camps offer the option to bring your family to camp. Apply today for free with a single application at CampStaffNurses.com.